If you have already entered a grade for an assignment via the grader report (as opposed to providing grades through the assignment grading tools), you may have problems attaching files to the assignment. Your students may also be unable to view files you previously attached if you override their grade via the grader report. 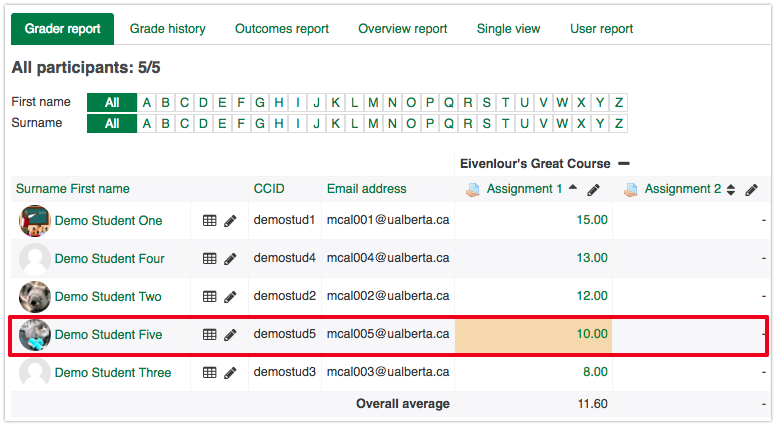 Once a grade has been edited/overridden in the Grader report, Moodle prevents instructors from changing grades from within the related activity. 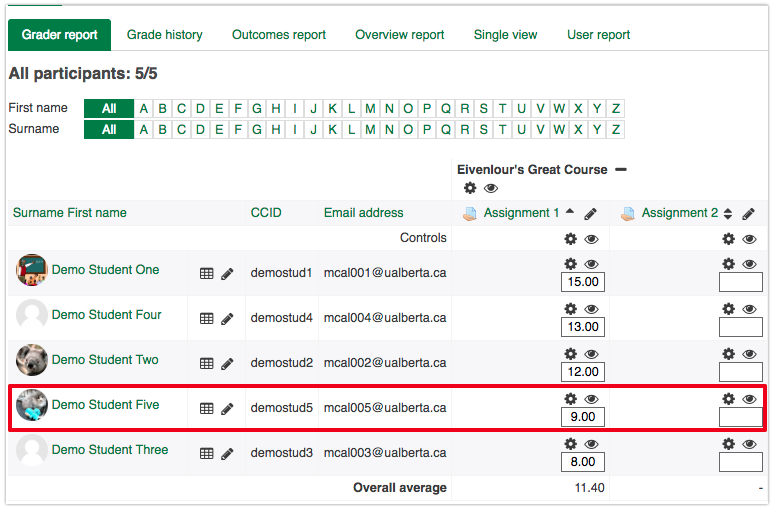 For an overview of the differences between grading an assignment directly via the gradebook and assigning the grades within the assignment activity itself, check this article: Grading Student Assignments. 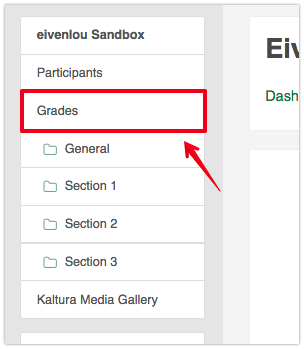 Once you are on the Grade administration page, make sure you are in the Grader report tab, under the View tab. 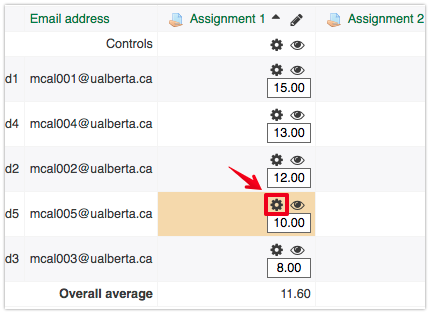 Look for the affected student - if the grade indicated for the assignment is contained within a peach-coloured cell, the grade has been overridden. 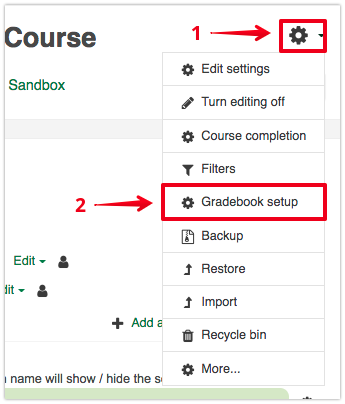 We can reverse this (tell Moodle the grade is not overridden), and re-enable our ability to upload a response file, but note that this process will delete the grade assigned specifically from within the gradebook. If you assigned an initial grade to the assignment prior to editing it in the gradebook (ie. 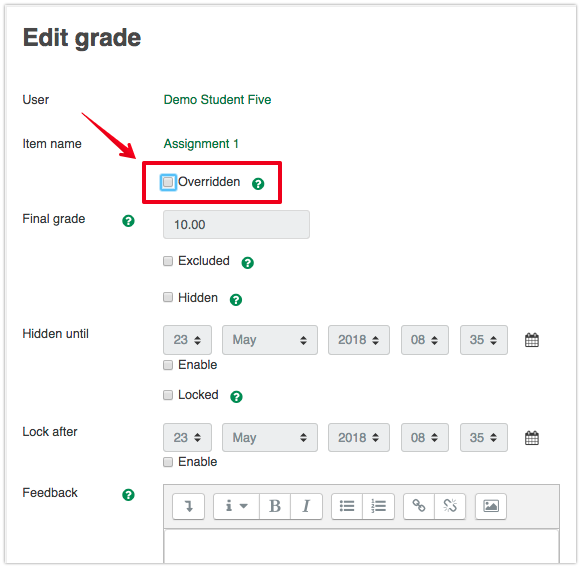 you assigned a grade from within the assignment activity itself first), the student’s grade will revert back to that original grade. For example, if you originally gave a student 8/10, but then changed their grade to a 9/10 in the gradebook, after going through the process indicated below, the grade will revert BACK to 8/10. For this reason, it is generally recommended that if you do need to edit a students grade, you do so within the assignment grading area itself, rather than via the gradebook. In the gradebook, click Turn editing on in the top right corner of the page. Once editing has been turned on, click on the gear icon contained within the peach cell corresponding to the affected student. In the 'Edit grade' page that opens, the third item down will be a checked box that says 'Overridden' - uncheck this box, scroll down to the bottom of the page, and click Save. The student’s grade will no longer be contained within a peach coloured cell, but notice that the grade has reverted BACK to what was indicated as the initial grade given to the student. The ability to upload a response files from within the assignment activity should now again be available to you. Keep in mind that you will also need to re-assign the updated grade from within the assignment activity as well.